CS CP and CWC members have to leave on 11 July. All other delegates have to go on 12 July. Back on 17 July night altogether & reach Kolkata on 18th July. 1)Wage cut for 3(Three) days i.e. 18-20 February,2019:- Regarding this a detailed discussion took place,we argued that there is a precedence in 1996, five strike days were adjusted against E/L as per decision taken by the authority as per proposal of NFTE. Madam advised to take up the case with CHQ at the BSNL CO level whether this can be done. 2)3rd PRC implementation:- Madam clearly told that at present there is no discussion is taking place in this regard at any level. Actually AUAB leadership could have taken the case to Hon'ble MOS(C) before observing three day strike. We argued that there is still ample scope to discuss this matter but Govt is unwilling. We requested if she can do something in this regard. 3) So called VRS proposal:- On our query Madam cleared that the original proposal sent by BSNL Board was VRS for 56+ employees but DoT has placed the current proposal unilaterally. At present nothing is moving in this regard only file, Cabinet note preparation, several questionaire are taking place just to buy time. The proper shape may be palpable after June -July 19. 4)Austerity measures taken by BSNL Board:- Madam accepted our proposals & assured that only own cost transfer orders will be issued as far as practicable. i) AO to CAO promotion : conversion of 336 MT Quota- Madam appraised that the proposal is with BSNL MC & soon will be placed to BSNL Board. In next week we can expect some results. After settlement of this issue the court case filed by Mr.Anupam Yadav may be vacated & further promotion in this regard may be considered. ii) JTO to SDE promotion:- Actually there is a stalemate due to court case filed by AIGETOA members. Dept is holding talks with the concerned persons in this regard to withdraw the case. Only after that further progress may take place. iii) SDE to DE promotion(List No.8) : Again this case is subjudice , so further progress is not possible at this moment. iv) DE to DGM promotion: Madam assured before completion of her tenure this order will be issued. v) JAO 2010 Batch case: We discussed the case in detail & impressed upon the matter that the incumbents should not be penalised twice for their option to become executive. Actually, the matter may be solved simply by issuing one clarification from BSNL CO that the fixation in the executive grade may be done from the date of effect of the promotion notionally ie., 07-05-2010. Madam accepted our point & advised us to take up the case by CHQ. We informed her already it is taken up & requested her to instruct Sr.GM(Fin)/CTD not to hurry about the recovery proposed by CTD, rather CTD may be instructed to follow the procedure of fixation followed by other states. 6)The case of Kandrudas Bhagat , PS :- We requested Madam to issue the circular to allow one more chance to Mr.Bhagat . As per our CHQ we came to know that the file is pending at the office of OSD after approval by the competent authority. Madam informed us that she is fully aware of this case & order in this regard will be issued within her tenure. We mentioned the request transfer case of Sri.Abhijit Nath, CAO from Mizoram to CTD on medical ground. PGM/CFA also reminded her about this case. Madam told to remind her this by CHQ for necessary consideration. We told that already our CHQ has taken up the case with her good office but in vain. Again we will ask our GS to mention this case on Monday. Before the end our CP queried that whether we can expect payment of salary in time in the coming months but she could not ensure the fact rather Madam told we should be ready for any eventualities. She assured that the EMI of bank , EPF/GPF contribution & pension contribution will certainly be paid in time. For medical bill no assurance was given. 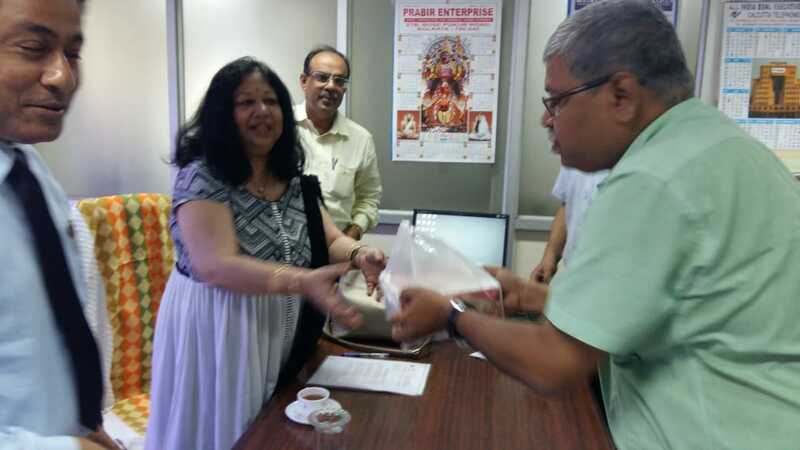 On behalf of CHQ CS invited her to our 6th AIC at Vijaywada during July 19 & expressed our thankfulness for special initiative taken by Madam DIR HR for promotion of 12,000 executives during her tenure. The meeting ended in a cordial manner. Meeting with CMD BSNL: GS met CMD BSNL & discussed regarding revival plan of BSNL being taken up by DoT in the Cabinet Meeting for consideration. CMD BSNL mentioned that Govt. is serious towards revival of BSNL and BSNL has to continue in the telecom sector. GS, President met concern officers of DOT and found that DOT has sent Cabinet Note on Revival of BSNL to consider three points (a) 4G spectrum allocation to BSNL (b) monetisation of BSNL land and(c) VRS to 54000 employees on Gujarat model. 5% incentive on ex- gratia is also recommended. 30% income tax deduction on ex-gratia will be there as "profits in lieu of salary" under section 17(3) of the Income Tax Act and the Employer would be liable to deduct tax on the same under section 192 of the I T Act. The employees who opts VRS will also be losing their increments of their left out service which will affect their pension for whole life. In case 3rd PRC is implemented after VRS and on Revival of BSNL for the remaining employees, there pay may be revised notionally from a later date as happened in the case of 78.2% fitment order on BSNL pensioners & 73% order for MTNL, which will benefit them in terms of pension and pensionery benefits. But the employees taking VRS may not get the benefit. The ex-gratia amount will be paid form amount of BSNLs land monetisation no funds from Govt. Without having any road map for the operation and mtce of BSNL infrastructure may harm the quality of service and will further put BSNL into loss. The MTNL example is there where the VRS has been imposed twice but couldn't revive MTNL rather put in heavy loss. We feel that Govt should allow monetisation of BSNL land and the funds collected through this should be utilised for BSNL Operation and maintenance instead of imposing VRS. During next 3-years about 50000 employees will retire on their superannuation. Unions and Associations of BSNL are organised Protest Demonstrations throughout the CTD on 12-04-2019, against the implementation of VRS in BSNL. AIBSNLEA members also participated in the programme and lodged their protest in befitting manner. 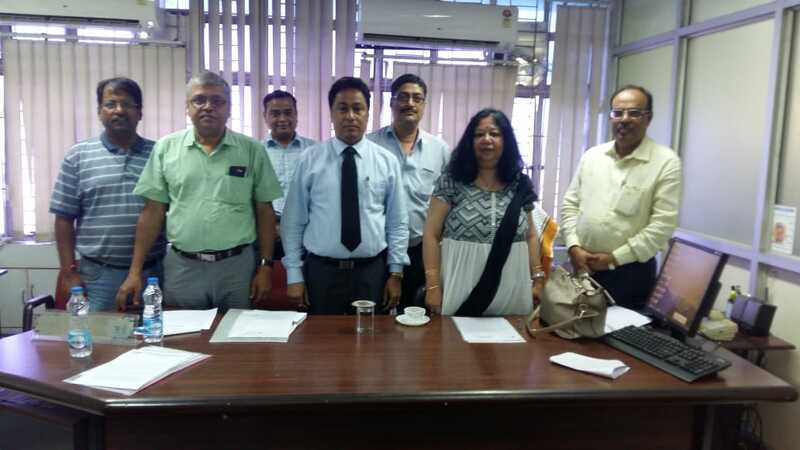 SR Cell of BSNL Corporate Office, New Delhi issued Minutes of meeting of Unions and Associations of BSNL with Director (HR), BSNL Board held on 11.04.2019 .....<<<Click here for MOM>>>>. 2. Shri Manoj Kanti Sarkhel, PA to C.O./Central, CTD (HR No.198605827) : Inadvertently opted. Com. S Koteswari AO/CMTS left us on 8th April night at about 11.45pm. We convey our heartfelt condolences to the bereaved family. Her soul may rest in peace. CS talked to Sr.GM(Fin) today regarding automation of updation of NEFT payments in PMS.Now,it is done manually and an email is to be sent to aoccbchq.bsnlctd@gmail.com by the customer and there is ample scope of wrong/late updation as a result of which lines may be interrupted erroneously.Till such time CS requested to depute some more JAOs/Aos to expedite the cases.GM appreciated our view and assured to take early steps. CS also mentioned that some of our members wrongly/not opted for GTI whose premium has been recovered from their salary of March 19.We requested to see this matter so that they may immediately opt out and the premium may be returned. GM said that is is an all India issue,still he will look into the matter. In this connection we request our such members to represent immediately to Sr.GM(Fin)/CTD with a copy to CS within next week so that early action may be taken. Later CS met Sr.GM(HR & Admin) and requested him for early meeting of CHPC so that compassionate ground appointment of deserving candidates may be expedited. GM told that no communication from BSNL CO is till received.However,he will take personal initiative to get some reply from CO.We also mentioned that the Certificate correction of Mrs.Ruma Pal CAO(LA) is still pending despite his assurance.He promised to set that right at the time of farewell ceremony of March retiree positively.We requested him to mature the transfer request of M.K.Chakraborty JE to Barasat.The case is long pending.He thanked for reminding and assured to see the case at the earliest. CS also pointed out that there is no scope of entering Special CL/compensatory CL or Paternity leave in ESS.He requested him to take up the case with ERP Cell Ghaziabad for early inclusion.GM appreciated our view and assured to look into. Meeting with DGM (Estt-I) : GS and President met DGM (Estt) and discussed regarding cancellation of GTI Nominations erroneously given by the Executives in various Circles while opening of ESS Portal. We also intimated that the access to update the GTI option in ERP backend has not been provided to Circle/SSA DDOs. As such updation to opt out of GTI could not be done in SAP by the concerned DDOs based on the representations submitted by the Executives and recovery was made in March 2019 Salary. DGM(Estt-I) informed that so many representations are received from various Circles for the cancellation of GTI Nominations and refund of wrong recovery made from March 2019 Salary and assured that Establishment Branch CO, New Delhi will issue a letter to GM(Training) for necessary guidance to resolve the issue shortly. 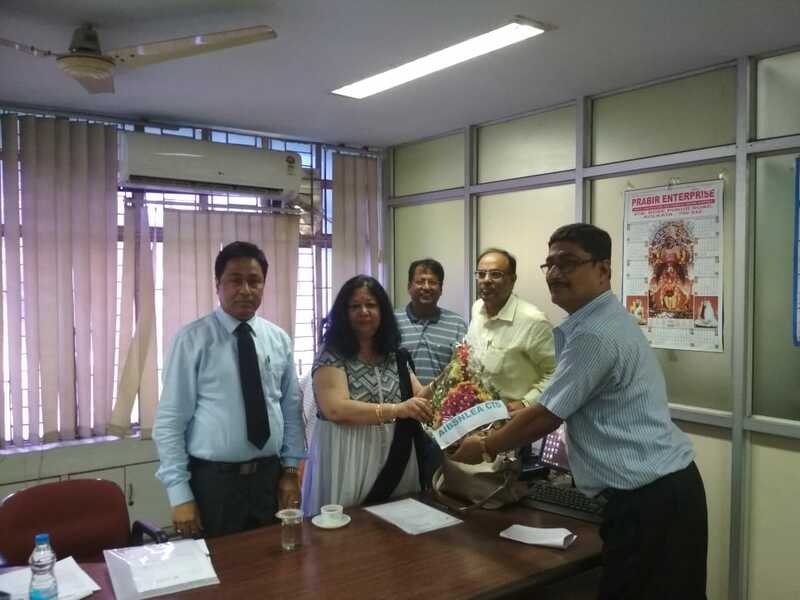 d. Timely disbursement of salary to BSNL employees : Advisor (Finance) informed that for the disbursement of February, 2019 salary ,DOT released Rs 500 crore to BSNL and will ensure that salary disbursement in due time. It is reliably learnt that PMO hold the meeting on revival of BSNL/MTNL on today. The Meeting was chaired by the Principal Secretary to the Hon’ble Prime Minster. Secretary (T) along with some Senior Officers of DoT and CMD BSNL/MTNL attended the meeting. On revival of BSNL Plan, CMD BSNL gave the Presentation wherein DoT has been asked to submit the Note based on the discussions and decisions taken in the meeting at the earliest. It is understood that PMO has assured to allocate 4G Spectrum to BSNL immediately, Monetization of BSNL's non-core land may be decided by DoT and VRS to BSNL employees will be applicable from the age of 50 onwards instead of 56 years age( Around 1,10,000 BSNL employees comes under the age of 50+ ). DoT/BSNL will submit the final draft on the basis of the discussions and decisions to PMO shortly. PMO also clarified that BSNL should exist and immediately no disinvestment is proposed. Reduction of age from 60 years to 58 years is ruled out by PMO at present. It is understood that the HR issues of BSNL employees concerning to Pay Revision and Pension Revision were not discussed in the meeting. 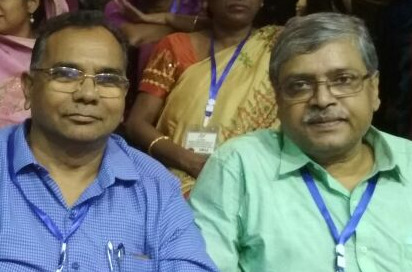 It is reliably learnt that PMO is holding meeting on revival of BSNL / MTNL on 02.04.2019. In the revival of BSNL Plan, the 4G Spectrum allocation to BSNL, Pay revision of BSNL employees, Pension revision of BSNL retires, Payment of pension contribution on actual basis pay and monetization of BSNL's non-core land etc. may be discussed.